To step on the world of Animation, the need to understand about what is the Keyframe becomes extremely crucial. As we all know Animation is knitting of a range of drawings to showcase users a holistic illusion of movement of the subject. The term Keyframe denotes how the frame can independently change the parameter values in a video clip in a hassle-free manner. A keyframe is actually a frame that denotes the start as well as end of the changes incurred in respect to a certain set of parameters. 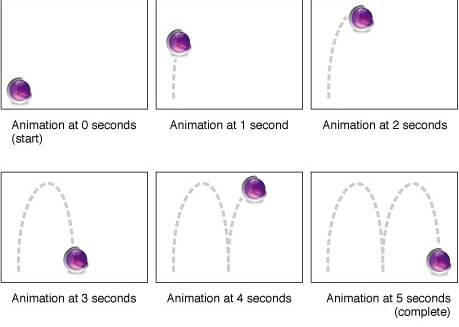 In general terms, keyframing is the inseparable part of Animation, as it plays a major role in performing the alterations over each and every frame that enables the user to make concise editions in the video. 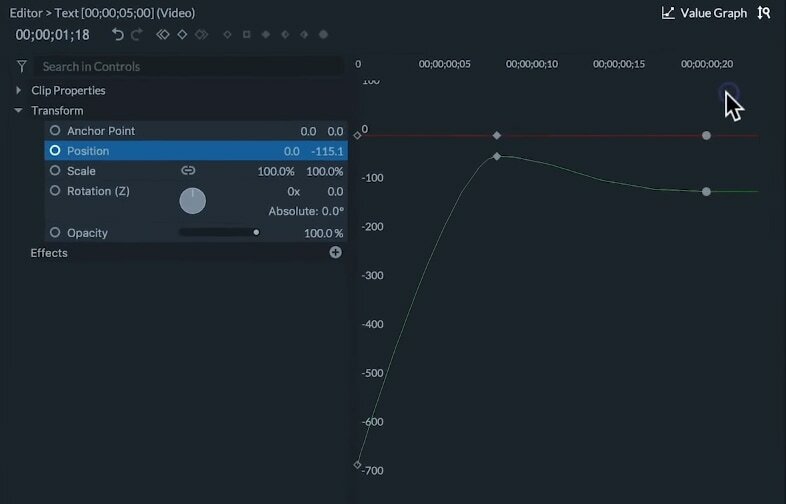 Curious to know about Keyframing in detail? Well, head further in the article and explore what keyframing is, its benefits and how can it be used efficiently! Video is an amalgamation of several images spread in a video. The term “Key Framing” is a core concept of animation and filmmaking that focusses on the beginning and ending point on the desired video clip. In professional terms, these drawings or images are referred as “frames”. This is because the smallest unit to specify the position of a drawing in time is fully dependent on the “frames” available in the strip of a film. For instance, if your video is processed at 30fps, which means 30 frames are being displayed over the screen in a matter of a single second. Depending upon your video clip, different key frame can be opted, where in each frame is distinguishing from one another and have the ability of taking different set of parameters (as per the need) for different properties like opacity, scale, position etc. In between the pile of keyframes, there are some numeric parameters of values that get automatically adjusted over the frame to another frame for connecting the initial and next keyframe values in a smooth manner. A couple of keyframes structures down the movement and creates the illusion of movement. While, you can opt to make due changes in the animation of one or two frames and rest can be termed in the remaining frames as in-betweens. While it is a task to manage keyframes in a video for a beginner but once you get used to of it, keyframes proves to be of great benefits. Especially, when you are progressing down with hand-drawn animation, it becomes easier for you to locate the minor defects or faults easily. You can track that very frame or sequences and then implement an action. For example, an arm is not going in the right direction, going to that very frame to get it rectified, supervise the motion of the bits and pieces when animating. Changing Positions: If you are trying the hand-drawing pattern, making changes over the frame(s) by changing the position of the object gets possible. Whatever suits and makes the picture compelling, you can perform the working in every frame. Scaling subject of the clip: To showcase a great message from your video, the scope of perfection is enriched by the enhancements you work upon. So, you can possibly look out for scaling down the text, object or subject of the frame. You can accordingly resize the object. Customizing Opacity: For making your shot much more clear and concise, the feature of opacity. While, we know key framing is not a cake walk to perform, the need of having a great software arises. Now, without looking out for other options, you can certainly turn the possibility of making a jaw-dropping piece with FilmoraPro. It stands as the one stop solution for catering all your video editing needs. Any professional or a layman can customize the effects so easily as a 1-2-3 thing over an individual frame. You can make use of the FilmoraPro by installing the software, importing the desirable file and then dashing in several properties in Controls tab. Depending upon the needs, FilmoraPro offers a vast pool of options that are capable of drawing great line of features. So, if you wish to switch the place of the subject or the focus of object, simply enable keyframes over the “Position” or “Anchor point” property. In case you wish to flip the object, “Rotation” option can be of a great purpose. To dash in a couple of edits, the properties such as “color correct”, “grunge”, “blur”, “sharpen” etc. We hope by now you are well-acquainted with the nitty-gritties of what is keyframing. We’ve covered the extensive details of keyframing. And apparently, with FilmoraPro you can effectively and efficiently customize the keyframes according to your need. We appreciate your interest and time utilized in reading this article and hope that you’ve like our efforts to put this post through. In case, you’ve any queries or suggestions please feel free to share your views in the comment section below.